100% user-friendly, fresh, stylish and clean WordPress theme. It is fully responsive theme which works on all web browsers and any types of devices and easy to edit and design. Philips Multipurpose WordPress Theme for Blog is a minimal & clean responsive theme for WordPress. It best suited for a blog, Technology, Business, Art, Culture, fashion, Home Decor, Food and Recipes, Art and Photography, Travel and Adventure, Fashion and Lifestyle and Corporate. Philips comes with powerful Theme Options Panel. It saves your time and money. Each homepage layouts can be easily customize-able. It can also be used as a personal blog to share your own stories and ideas. Philips is 100% user-friendly, fresh, stylish and clean theme for WordPress. it built with the latest WordPress technology and 100% responsive which works on all web browsers and any types of devices. 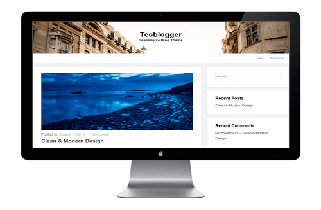 This Multipurpose WordPress blog theme has retina ready design and easy customization options. 1 Click Demo Importer Included. Popular Posts with Thumbnails Widget. Self Hosted Auto Update Enable. Feel free to contact us with any questions or comments you may have. We love to answer our customer’s questions! Features request or ideas are also welcome and will be considered in next release.